High-tech analyst and author Scott Steinberg offers ideas for navigating social media networks with grace and discusses the crucial role CIOs play in promoting -- and enforcing -- good behavior online. It seems that not a week goes by without social media hitting a new high — or, as United Airlines might attest, a new low. Whatever your perspective, there’s no denying that social networks and online connections can shape how we work, think and interact to a dramatic degree. 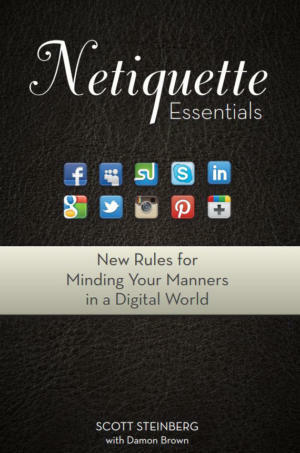 High-tech analyst and consultant Scott Steinberg offers guidance on how to get along in this digital world with his new book, Netiquette Essentials: New Rules for Minding Your Manners in a Digital World, which was released in February. This is Steinberg’s seventh book about business or technology. Here he discusses why manners matter on social media, and why CIOs should care. What observations prompted this book? I have a passion for helping people succeed, and I love watching them network and forge meaningful relationships. And the ability to communicate and establish relationships is key to business success. But the more managers you talk to, you find that over the years that people — while they have better access to education and technology — are less equipped for face-to-face interactions because they’re getting less and less of them. They’re less equipped to present in public or give a speech or a presentation. And you see it day to day. Biggest achievement to date: Piloting a child to success. Hobbies: Tae kwon do (he’s a brown belt); tennis, poker and a lot of live music. You’re talking to younger people and they’re checking their phones and texting and tapping while you’re talking. It creates the impression that they’re snubbing you, even if that isn’t their intent. A lot of this isn’t just high-tech etiquette. Some of it is classic etiquette, and we seem to be losing it as we move further online. What’s the top faux pas people make in or regarding the digital world? They forget that social networks are some of the most public spaces available and are shared the entire world over. And while these settings seem very relaxed and informal, and people enjoy them in a casual manner, we tend to post things that we wouldn’t say out loud in a real-world or office setting. Posting something you thought was funny or liking a politically charged comment, it can be seen as an endorsement. You have to think twice about posting or liking something controversial. It could be a lightning rod. That like or share could be seen as an endorsement. And the other piece that’s interesting, too, is you can often get private and personal information that people have shared online. And people forget when they post something online that tone of voice and human elements are lost in the translation to the electronic realm. So something you think is said in jest can be taken out of context. Smiley faces don’t do the trick? A smiley face never hurts. Thank God for emojis. Some people talk in very logical manner, and it comes off very harshly if you don’t add a smiley face. We’ve seen headlines about people getting in trouble for their social posts. Why haven’t we all learned this lesson yet? Maybe because social networks have a more informal feel to them. You can forget that people might not have context around it. Social networks and online tools encourage us to be more social-facing than ever; there’s less privacy than ever before. They’re meant for short bites — most people don’t put a lot of thought into what they post. You have to be more purposeful and intentional about what you’re putting out there. Do different tiers of workers follow different rules regarding online behavior? Yes, and part of it might be just in terms of maintaining a certain image or projecting a different persona. Senior leaders, because they’re seen as the voice of the organization, tend to be more reserved and a little more thoughtful. If you have folks not in senior leadership roles, they tend to be more active online and more casual about the thoughts they’re projecting into the world. [In contrast,] a senior executive under massive scrutiny will be more reticent to share something they perceive as having some controversy around it. President Trump’s social media use has been a subject of controversy. How has that impacted this topic? It makes these basic rules more important. It’s fair to say that oftentimes a lot of these folks have broken every rule in the book and the more we see it, the more we’ll tend to see it mirrored down the chain. We do our best to fight the good fight. How can we counteract the negative? Some of the things that can help here are codifying a social media policy [at work] and assigning social media managers to serve as a consistent voice; to talk with employees about what to share, the tone of voice that’s appropriate, the content they should be putting out there in the world; and to really work with them to understand how they should communicate online and add value for end users and customers. Why should businesses care, especially if their employees’ online activity is separate from work? If they work for you or with you, they will be seen as a representative voice of the brand. It’s hard to separate that online. So it’s tremendously important because the people you send to conferences and events, you expect them to be a positive face of the brand. You would expect them to be the same in person and on social media, when they’re comporting themselves to an ever wider audience and more and more customers. What role should CIOs play in this discussion within their companies? They’ll play a crucial role, because they’ll be working closely with marketing and communication teams about the image they want to portray and what message they want to send out into the world and what kind of information they can convey. You also have to keep in mind the touchpoints are high-tech touchpoints. The people who are providing this technology are the most informed subject-matter experts in the organization. They’re in a unique position to help marketing and communications understand it, and they’ll often have access to analytic data that others want. And IT is often the first to get the blame when something goes haywire online. Are there technologies that CIOs can use to promote and enforce etiquette? If you’re using corporate devices, it would be anticipated that the company would keep an eye on those activities. It helps to have devices that only allow certain types of actions, that only [allow access to] appropriate websites and forums. And there are social media monitoring tools that can keep an eye on what’s being said. But it comes down to training instead of installing an app. Why training over monitoring? The technology is reactive. You want to teach workers to make good decisions and have better high-tech habits. 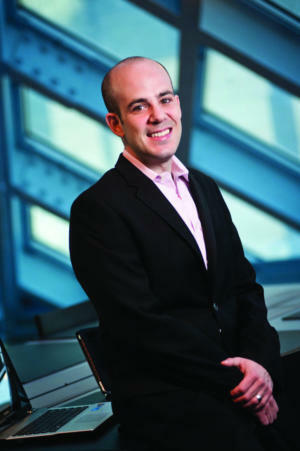 Scott Steinberg's book Netiquette Essentials came out in February. What is the top social trend that companies need to watch, and how do CIOs prepare for it? We’re obviously seeing a switch to shorter forms of media conveyance. You also have a fact that people are tuning in on different devices. It’s what Google calls micro-moments, and [CIOs] have to think about how they can personalize those micro-moments. People are looking for a more tailored online experience. They’re looking for stories that resonate and prompt an emotion. They’re looking for that personal connection. You once had a static marketing message, but now people are looking for you to humanize it, but in a way that doesn’t take away from the brand’s authority. How do CIOs support that? They’re going to be the backbone of this. The CIO is going to be a key driver of innovation, and they’ll help marketing and PR realize all the mediums available to them and supply them with the technology to succeed. CIOs will also be the ones to help them filter and decide on the best tools. You’re going to see marketing and advertising building more things on the fly, so they will want IT to create the tools to let them create things faster. Should CIOs be building their own social media brands? Absolutely. Your personal brand is important in this day and age when everything is commoditized. Finding ways to stand out as a thought leader can help separate you from the crowd and connect with others online. What makes you unique is part of the expertise and authority you bring to the role, and there’s no reason you shouldn’t share that authority with others online. Should anyone live offline? Finding balance and finding time for offline interactions is key, as is cultivating healthy online habits.